Build Fast Formula is looking for members of this community to Log VASOBLITZ. Currently two kind members are logging (not at our request but voluntary) VASOBLITZ in the supplement log section. At Build Fast Formula we like to put the product to the consumer test. An informed consumer is a better consumer. Aside from the open label, the next true validation is consumer feedback. The two gentlemen logging are putting VASOBLITZ to the consumer test. 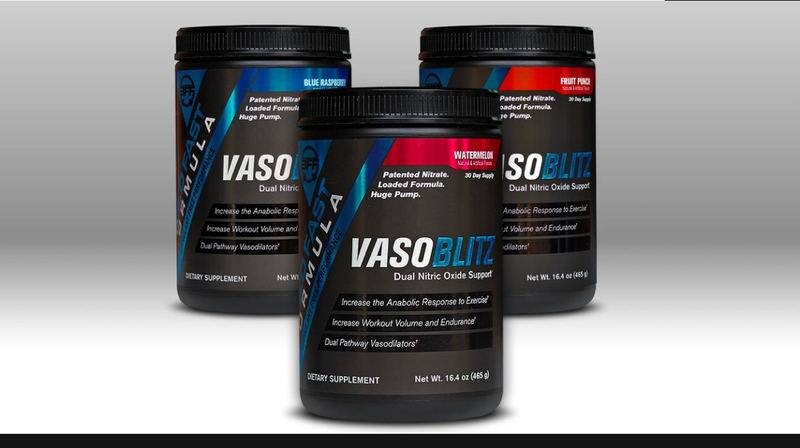 We will give away full 30 serving bottles of VASOBLITZ. The formula is designed for daily use. The data tells us that's the way these ingredients should be used. Although there is acute vasodilation, the products full potential is designed around daily use. If you apply,First and most important we need a commitment to use daily, and a smaller commitment to post the minimum of 2-3 times a week at minimum. We will keep the number of logs in discretion to the amount and quality of applicants. Our goal is to get a good amount of good logs in action. bbartsche Mowglisml would be a great loggers for this. Yes! Looks awesome, would love to be a part of this. In to see who bites. I'd love to see some feedback as well. Blue Raspberry – The blue raspberry flavor is very mellow. It is refreshing off first taste, but never really pops on your taste buds. I used 2 scoops in 16oz of water and felt like the density could be stronger. Overall it is not overpowering, nor is it too light it does have a happy medium. For those looking for a super sweet xtend blue raspberry this wont be what your aiming for. Build Fast kept it light, refreshing, and is very smooth flavor from first sip to last. I enjoy it even with a saturated market of blue raspberry products. I can find myself drinking this with ease and not getting sick of it. The product mixed with ease in a blender bottle. After a few shakes there was some particles floating around but those quickly dissolved. The powder is extremely light and started to mix just hitting the water. I found nothing stuck to my shaker cup or left sitting at the bottom. Thumbs up here on how easy the product mixes in water. Simple on paper but very well dosed. Very happy to see a transparent label. Direct it is $34.99 for a 30 day Supply. Seeing this is a true two scoop product it will last you well over a month. Around $1 a serving for an open label and well-dosed product is a major plus. Even with a sale and dropping it help $30 this makes it worth pulling the trigger on. This can be very competitive on the market. Minutes before with 50g of carbs. During this workout the product shined with extra glycogen, water and sodium in my system. I felt my skin harden almost instantly while warming up. Blood was filling my muscles and vascularity was showing right off the bat. Before I even got into my top sets my arms, shoulders, and chest were all rock hard. 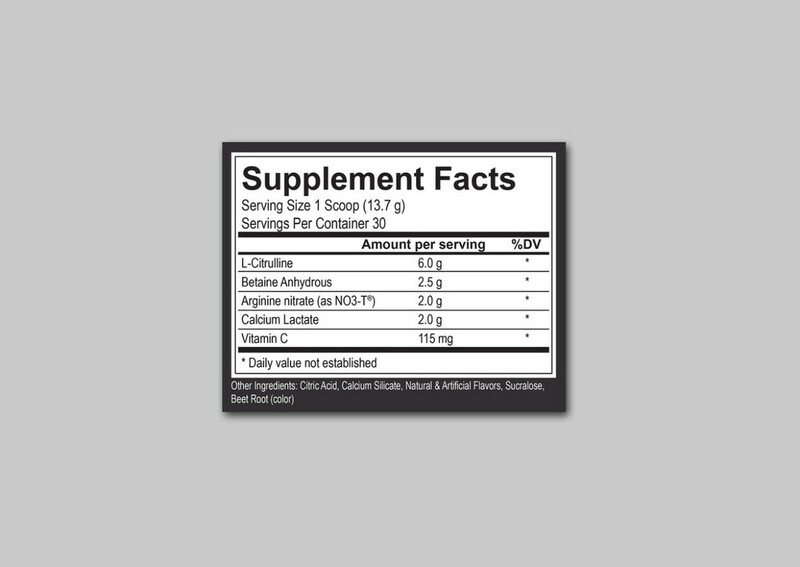 The beauty of the formula with the high dose of nitrates aid performance and endurance. I could tell my rest periods between sets improved as I shifted from exercise to exercise. Overall very pleased with my experience when I had the time and tools to make use of a non stim pump product and train later in the day. Muscles to pop. While it’s not optimal to use a non stim without extra carbs, water, and sodium I always test products in both scenarios. You still get the benefits it is just not as potent compared to a fed state. Nice. You can't beat clean, effective, and economical all in one! I wish I could say I am responsible enough to diligently log something.. but I can't.. will be watching the new loggers tho out of curiosity.. can one get too much of a pump?.. I know the description "skin splitting pumps" doesn't seem entirely literal, but could it be at some level? I would love to log this product and can meet all requirements! Please Private Message complete address and flavor (FP, WM, BR or Unflavored). Private message complete address and flavor (BR, WM, FP or unflavored). I'll would also be appreciative of an IG shout out. That is if you give the results a thumps up. We're eyeing a few more potential loggers. as in actually rip you open, no. but a A+ pump could make full rom or high volume painful or difficult. So no risk of tissue damage at the far end of the spectrum ? For sure! Thanks for the opportunity! Could you add the unflavored to your morning coffee? Understood and really nice of you. We'll send a bottle either way waiving the log requirement. Yes. You may need to make it an 8-10 ounce coffee. Looks like a great profile and stim free is excellent choice. Please Private Message Complete address and flavor of choice. Please Private Message complete address with flavor of choice. Would love to try this stuff out. The reviews look very promising. I've got no issues using everyday and will be more then happy to post 5 times a week if needed. I gotta say I’m impressed so far! All packs including yours ships today. I'm gonna put this on my list, looks like it's getting awesome reviews on the forum. I personally love a good nitric oxide pump product. Are you interested in logging? If so, we would love to send you a bottle. Ok. Please Private Message your complete address and flavor. Please Log in the supplement log section. I have no problem logging this. Are there any logs up yet? Please private message your complete address and flavor of choice. If you include email address, we will email tracking. Just for the record, as a new brand on AnabolicMinds we would appreciate the logs starting when you receive the product not a few weeks down the road. If you are logging for another company please out of respect for that company keep the virtual handshake deal in place. I would hate for the same to happen to us. Watermelon – The Vasoblitz Watermelon is subtle and refreshing. I used 8oz per scoop, which is recommended, and it has an everlasting flavor to it. I don’t see this as a flavor that will remind you of a true jolly rancher, but an enjoying drink to sip on. Overall I enjoy it, not the strongest watermelon on the market, but has enough flavor to truly appreciate the flavor they were going for. Fruit Punch – Fruit Punch follows suit like the other 2 flavors with being on the subtle side. 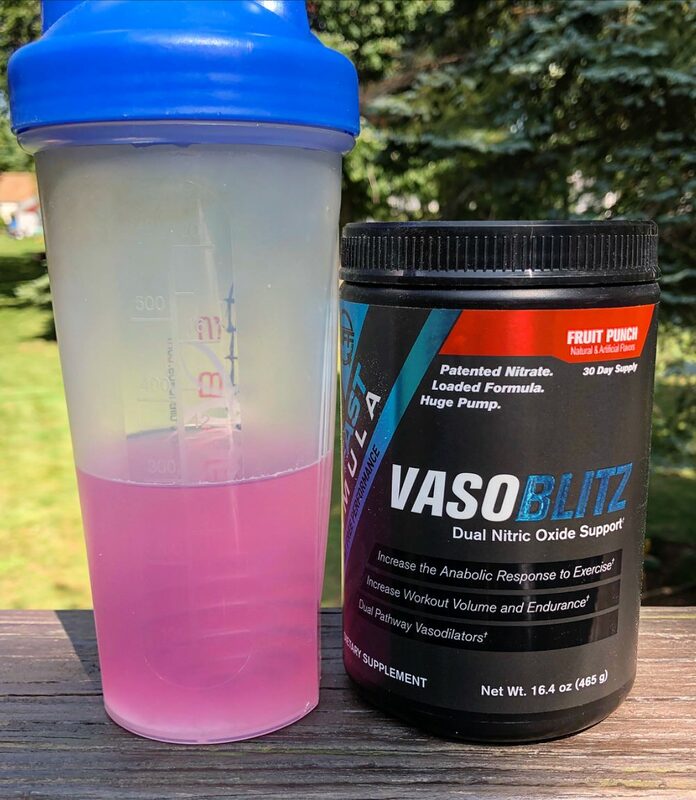 Vasoblitz is not a product that will blow up your taste buds, but be very refreshing and light. The fruit punch was a combination of orange, strawberry, passion fruit, and s small glimpse of orange. With a unique array of flavors this is an enjoyable drink to have to sip on in the summer. None of these are bad, I just have them ranked in this order which may vary from person to person. Back, shoulders and arms where you can engage the muscle before training it in a stretched state. I have found this helps greatly keep muscle activation high for proper mind muscle connection. I have not had a bad workout since starting vasoblitz, even though I am in a deficit I have tried to allocate my calories wisely to make the most of the product. I did 2 scoops vasoblitz in 16oz water and a heaping TBSP of sea salt. The salt will help give my body sodium to help provide pumps during training. It did help but no where near as effective as a fed workout where I have more water and carbs in my leading up to training. I was going to do 32-40oz of water but did not want to be bloated before heading into the gym. We would love to get your feedback on 2 scoops (1 serving) 8-10 ounces. Your feedback is valuable to us. 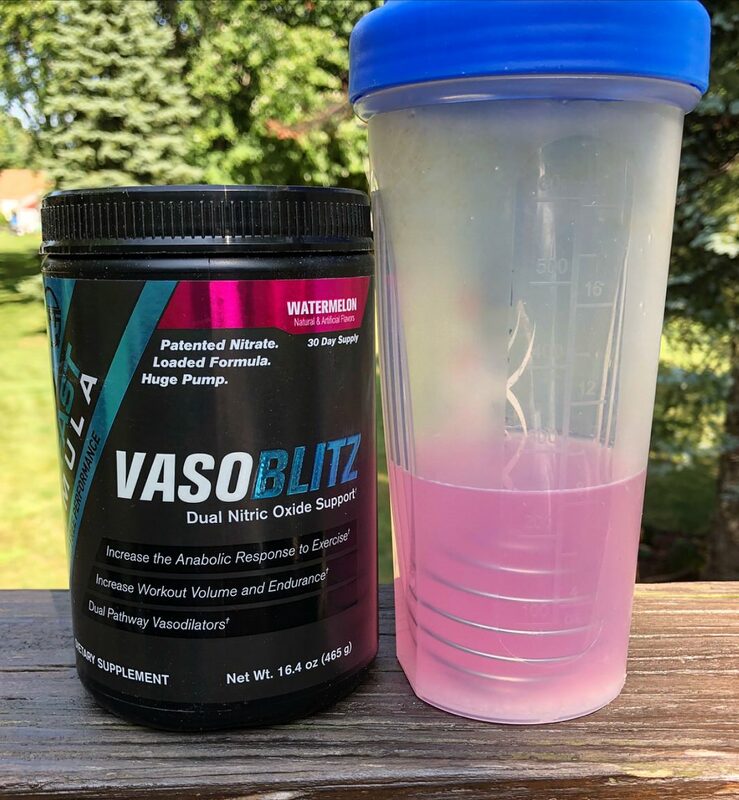 We look forward to following your VASOBLITZ journey! Just placed an order for some. I will kinda be logging it. Just not on its on but in my own log as soon as I receive it. Thank you for the purchase! We look forward to your VASOBLITZ feedback. Thinking of logging this too, best place to buy? So jealous of the USA. We poor uk folk never get these opportunities haha. Blue rasp is my fave flavour for supps so gonna give that whirl, great formula by the way and digging the branding, very slick. 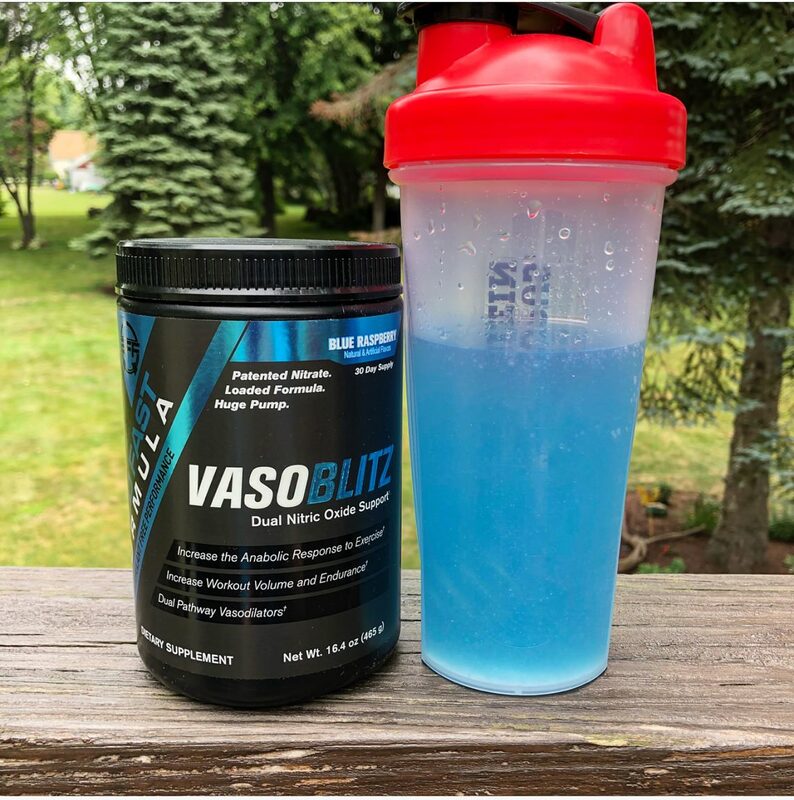 VASOBLITZ by Build Fast Formula 29.99 FREE shipping WEEKEND ONLY!